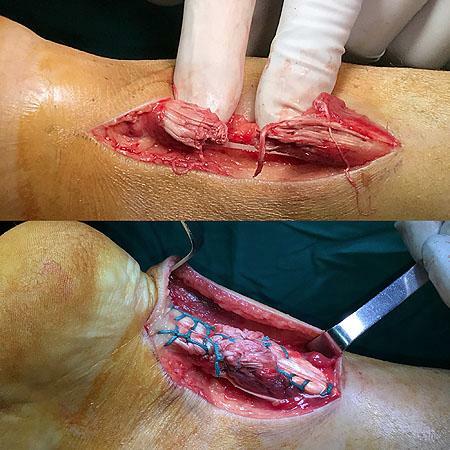 ACHILLES TENDON RUPTURE | GEORGE D. GOUDELIS MD. Ph.D.
Achilles tendon rupture are relative common. Although the Achilles tendon formed by the merging of the tendons of gastrocnemius and soleus, is the thickest and strongest tendon in the human body, it remains susceptible to injury. During the last two decades, the incidence of spontaneous ruptures has been rising, probably because of the increasing keep-fit culture. Approximately 75% of Achilles tendon ruptures occur during sport activities. The diagnosis of an acute rupture of the Achilles tendon is usually made by a history of a pop or snap in the posterior aspect of the ankle along with onset of mild pain. Physical examination reveals a swollen, painful ankle with ecchymosis posteriorly. Many patient can still actively plantarflex the ankle against mild resistance because of the pull of the posterior tibial tendon and the long flexor tendon. Inability to rise onto the toes or a heel resistance test, performed by grasping the heel and resisting plantarflexion, showing absence of plantarflexion power are consistent with an Achilles tendon rupture. The Thompson test has proved to be a reliable test. During this test, the calf muscle is squeezed with the patient prone and the feet extending over the end of the examination table. If the tendon is intact, the foot can plantarflexed. If it is ruptured, the foot cannot move much or at all. The diagnostic ultrasonography and Magnetic Resonance Imaging confirm the diagnosis. Achilles tendon is the stronger and most historical tendon on the human body. Percutaneous and mini-open surgical repair techniques were developed in order to minimize the potential risks of surgery and to improve functional outcomes. Controversy has arisen with regards to the optimum treatment for Achilles tendon rupture. Patients presenting at emergency department with suspected acute Achilles tendon rupture are placed in a equinus plaster of Paris cast and referred to a weekly to a specialist Orthopaedic Surgeon. Ideally they will be seen between one or two week after the rupture. The cast is removed and the patient is assessed. The absence of plantar flexion on calf squeeze adds further reassurance to the diagnosis. A suitable padded synthetic cast is applied with sufficient plantar flexion to achieve satisfactory apposition of the tendon ends. The patient is then instructed to remain strictly non-weight bearing until their next appointment. 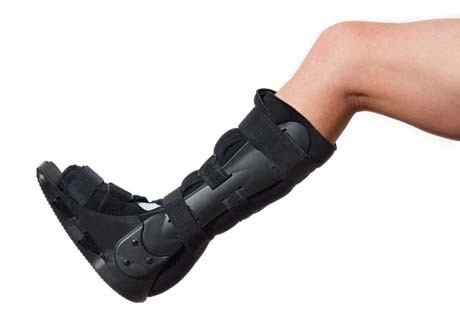 Protection in a plantar flexed cast continues for a total of four weeks from the date of rupture. Patient remain strictly non-weight bearing all this time. After the four weeks the plaster removed and special functional boot applied without plantar flexion of the foot (0 degree), for another 2-3 weeks. The patient can touch the toes to the ground and gradually weight bearing. The physical therapy is necessary to regain the foot and ankle the normal movement. Nonsurgical care should be reserved for the elderly who are not involved in strenuous activities or for patients whose medical problems preclude surgical intervention. Generally speaking, surgical reapproximation with reinforcement provides the best opportunity for returns to activities, particularly in the young athletic patients. A physiological young individual with an Achilles tendon rupture who does not wish to accept increased chances of re-rupture is a candidate for the operative procedure. Open surgery is considered the standard procedure when operative management is contemplated in patient with acute Achilles tendon rupture. Other operative management modalities(MINIMALLY INVASIVE MIS technique), have advantages but special indications. 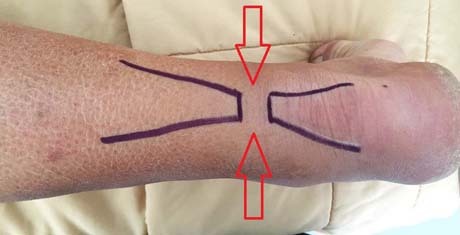 With these techniques effectively avoid skin incisions and the whole process of suturing the tendon is made up of small holes in it. After entering the clinic the patient will undergo a full clinical, paraclinical control and placed a special splint to stabilize the ankle. The patient remains with no food and water waiting the time of surgery. Open surgical procedure using special loops and microsurgery techniques. The surgery is usually the same day, lasts about 60-70 minutes and is done with the help of surgical microscope using microsurgical techniques for the best and safest course. The patient remains in hospital for 24 hours to receive full medical and nursing care. Discharge takes on the day after the surgery with special instructions. The patient wear a special splint to stabilize the ankle joint. In 15 days from the day of surgery is to remove the sutures. The patient is placed in a cast or brace in approximately 15-20° of plantar flexion about 1 month. This is followed by a heel lift and gentle, progressive active-assisted exercises. Eccentric muscle strengthening is initiated 2 to 3 months postoperatively.